Get a full picture of the domain and hosting market, discover better business opportunities and generate higher revenue. Is your Name Suggestion provider GDPR-compliant? DomainsBot has undergone a rigorous review to ensure full compliance with GDPR. We protect your users’ privacy (and your peace of mind) all the way. Make your customers happy and boost your revenue with relevant name suggestions in 11 languages across all available gTLDs, nTLDs and ccTLDs. DomainsBot‘s and Open-i Advisors‘ best insights and simple tips on how to use domain data to grow your business. 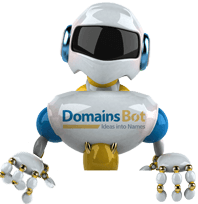 DomainsBot provides domain and hosting professionals the data, insights and tools to better understand their customer base and their competitive landscape and to identify the best new business opportunities. We are a trusted partner of leading players in the domain and hosting industry. Our clients rely upon our expertise, technology and dedication to help them make smarter business decisions, stay ahead of the competition and generate higher revenue.